That said - If you want something within walking distance of Woden Town Centre (Busses on Day 2 or the Southern Cross club on Days 1 and 3) the choice is very limited. The only short walk one is Item 1 Below - item 2 Says it is walkable but it is a couple of Km at least. 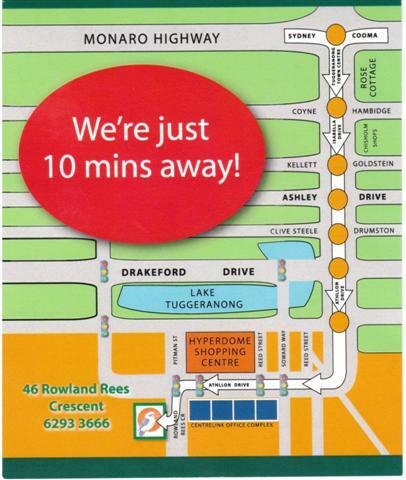 Item 3 is within a short walk to Busses from Tuggeranong to Woden. Location 1 - Quality Hotel Woden is within 500M of the Plaza and a little longer to the Southern Cross Club. They currently are filling up on the weekend of 18th 19th July but have plenty of rooms on the 20th onwards. 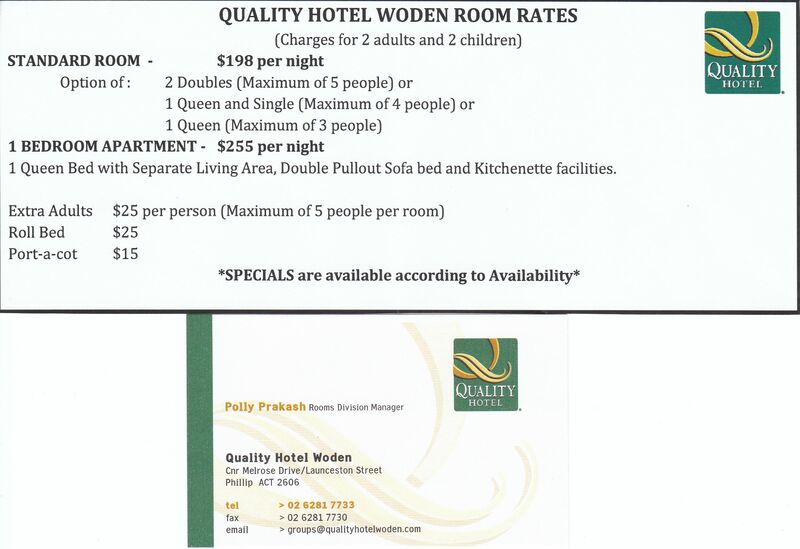 Be sure to ask for Special rates! I notice Wotif has some much lower rates. 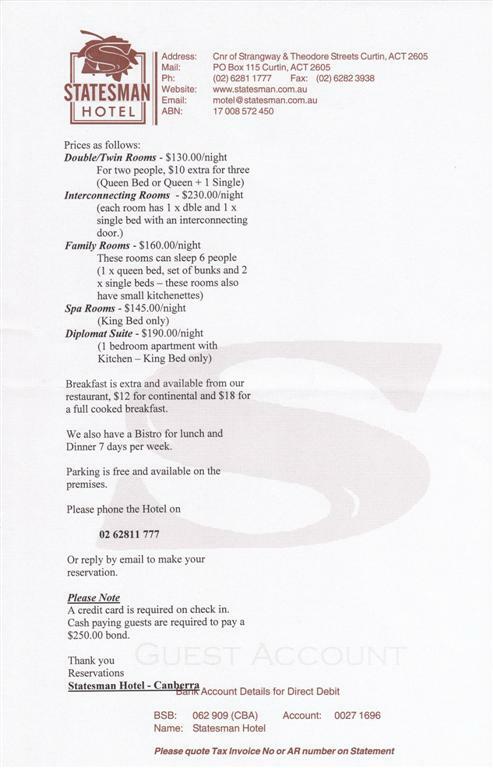 Location 2 - The Statesman Hotel in Curtin - a cheaper Family style Hotel/Motel. 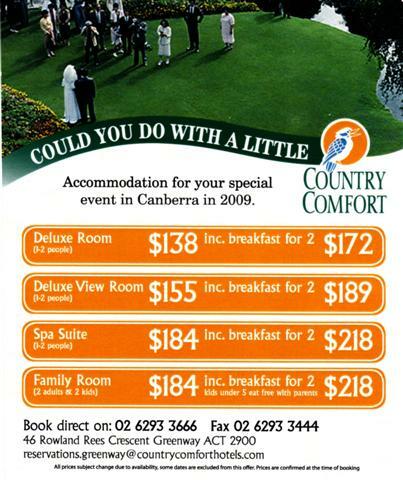 They Advertise "within walking distance of Woden" But it's a reasonably long walk. Location 3 - a short express bus trip to Woden. I'll make some more enquiries about other locations. If you have a particular favourite - please let me know.